Rich taste of sweet tasting fresh figs combined with creamy cheese is a perfect summer delight, try it, you are not going to regret it. Cut off steams from the figs and cut them to 1/3 of height in x shape. 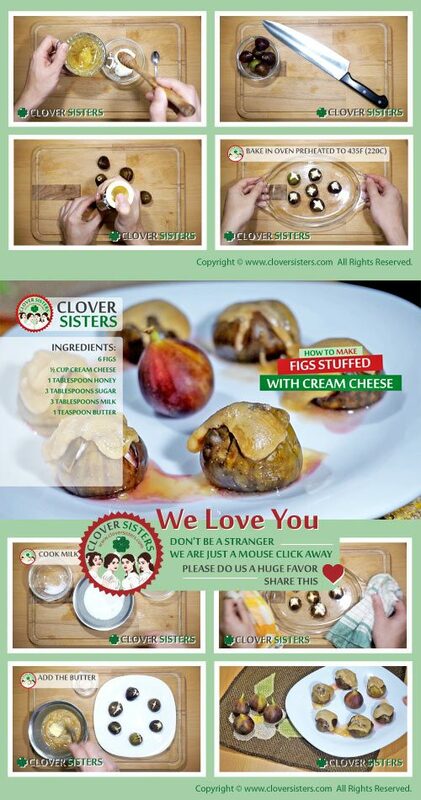 Place figs on a baking paper. Incorporate honey into cream cheese. 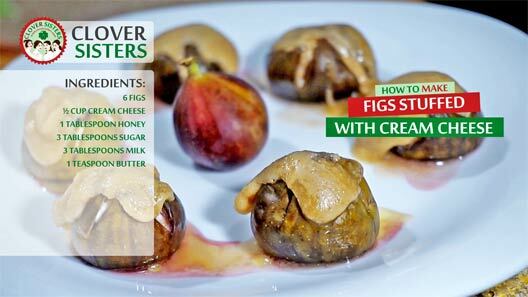 Fill the gap on the figs with one teaspoon of cream cheese. Bake it in oven preheated to 435F (220C). Cook milk and sugar in a sauce pan until start to thickens, then remove from the heat and add the butter. Pure the warm caramel over the figs before serving.